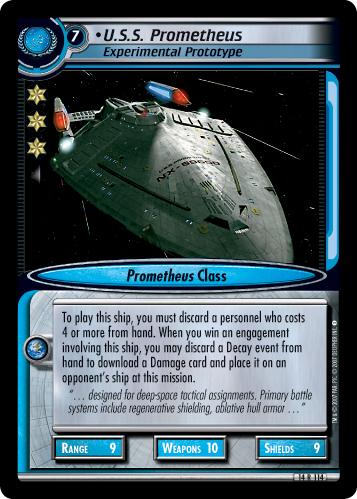 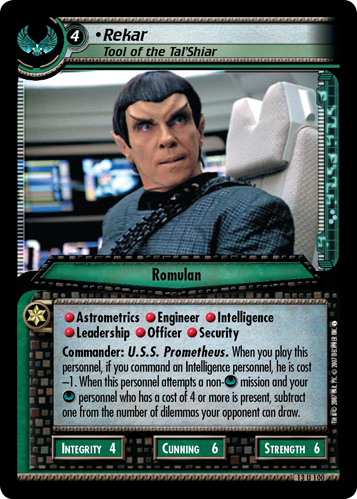 To play this ship, you must discard a personnel who costs 4 or more from hand. 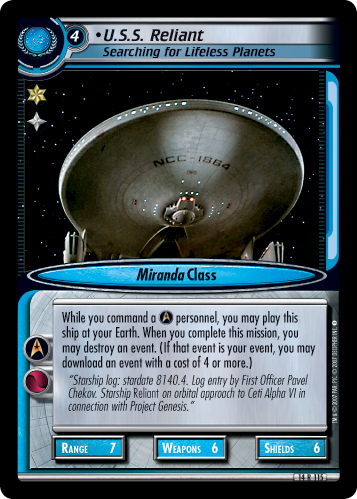 When you win an engagement involving this ship, you may discard a Decay event from hand to download a Damage card and place it on an opponent's ship at this mission. 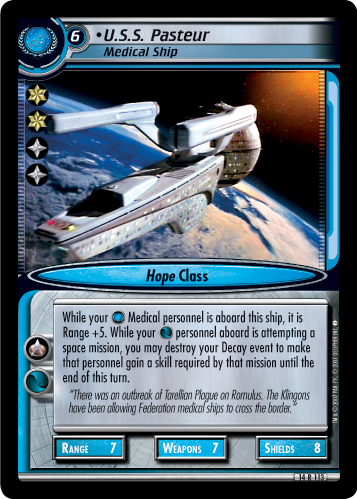 "... designed for deep-space tactical assignments. 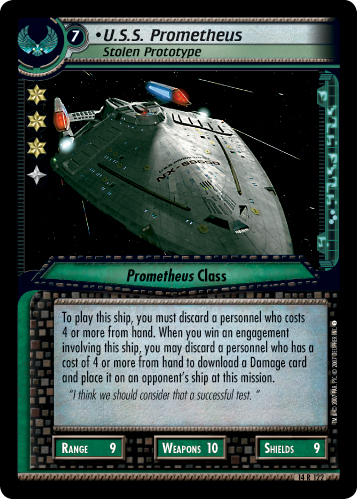 Primary battle systems include regenerative shielding, ablative hull armor..."
Image Source: Voyager: "Message in a Bottle"